BBR will shortly be releasing its 1:18 replica of the Ferrari TR 60 that was victorious in the 1960 Le Mans 24 Hours. It was piloted by Belgians Olivier Gendebien and Paul Frere. 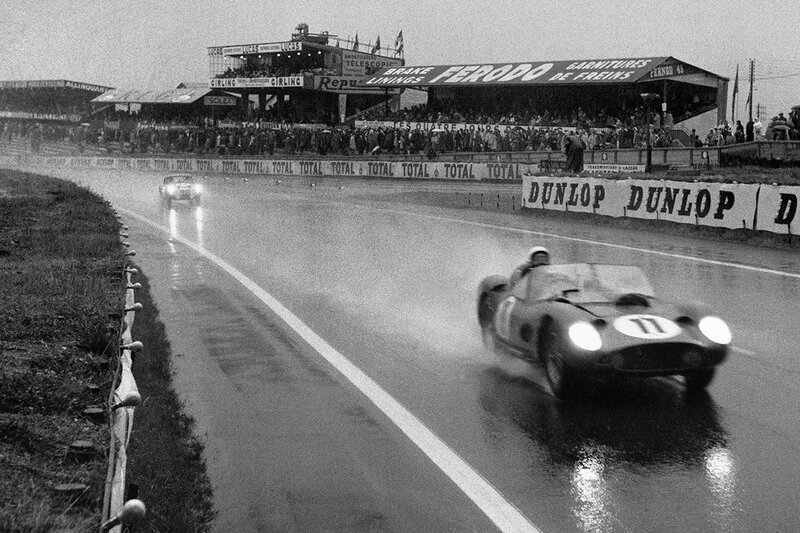 It was the second of Gendebien’s four Le Mans victories, and the only one in which Phil Hill wasn’t his co-driver. Frere retired from competitive driving after the race to focus on his main career of being an automotive journalist. Ferrari was considered the team to beat going into the race, but it nearly went catastrophically and embarrassingly wrong. 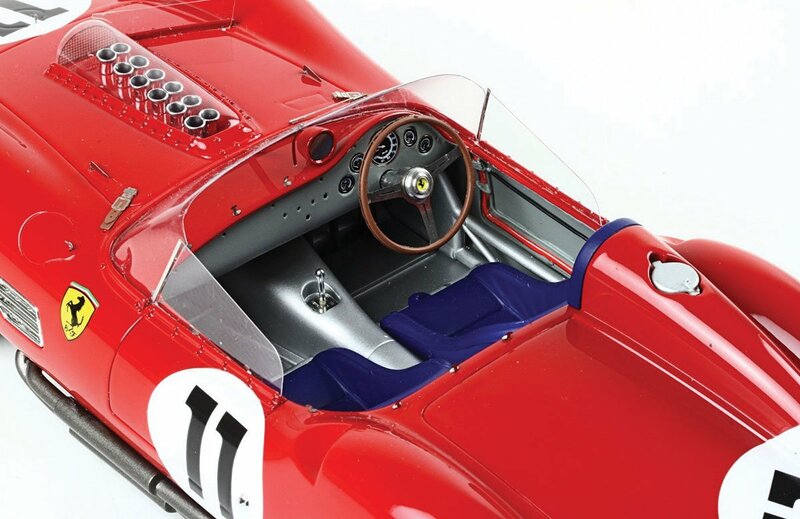 Ferrari’s TR 60s featured enlarged windscreens for the 1960 edition of the race, which led to increased drag and fuel consumption, which hadn’t been properly factored in by the team’s strategists. Consequently Ferrari lost two of its cars just 22 laps into the race, marooned out on the circuit as the first fuel stops approached. Gendebien also ran out of fuel, but was close enough to the end of the lap to be able to coast his car back to the pits for service. The #11 Ferrari emerged in the lead after those chaotic opening pit stops, and held it until the chequered flag at 4pm on Sunday afternoon. A heavy hail storm three hours into the race kept everyone on their toes though, so it was by no means a walk in the park for Gendebien and Frere. 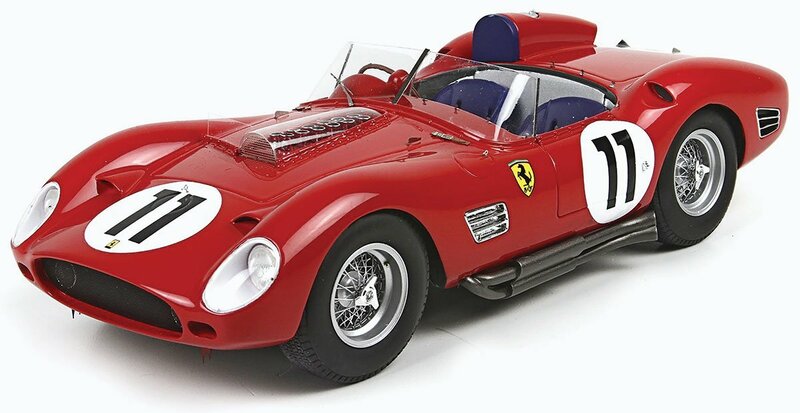 This BBR 1:18 replica is a limited edition of just 600 pieces worldwide, which isn’t very many at all when you consider that it is a classic racing Ferrari, and a Le Mans winner to boot. Indeed, it is already completely sold out with BBR.